Buying a real estate or investing in Turkey has already become an unmissable chance lately. Advantages such as VAT discounts, resetting stamp duties, and granting Turkish citizenship for those who purchased a real estate for at least 1 million dollars made the country favorable. After all these developments, Turkish Government has abolished VAT on property sales to foreigners for attracting more international investors. 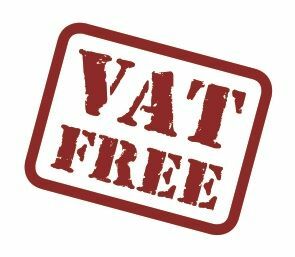 Law about the VAT exemption was approved by the Turkish Parliament on 1st of April, 2017. Some Turkish citizens residing abroad and foreign citizens will not pay VAT on condition of getting newly property from the construction company. Those unfairly benefitting from the exemption will be held liable for the uncollected taxes, and will be subject to tax penalty. - Turkish citizens that lived abroad for more than 6 months with their work and residence permits. - Foreigners who have not settled in Turkey. - Organizations that have not made any profit from Turkey or do not have an office. Important note: Turkish citizens who reside in foreign countries, working for institutions, establishments, and institutions based on Turkey will not be able to benefit from VAT exemption. - Only the new real estate properties purchased from construction companies are included. - The purchase price must be in foreign currency. - The purchased real estate can not be sold for a year. If the real estate is sold in a year, the exempted VAT will be collected. There are 3 types VAT rate in Turkey; 1%, 8% and 18%. Usually, 1% VAT are valid for cheap properties across Turkey. 8% and 18% VAT are for expensive properties. VAT rates for properties in Antalya are 1%. 8% or 18% VAT rates apply when buying a property in Istanbul from construction companies. Note: Before you buy a property, ask a builder for the VAT rate or request it from us. - Work permissions or equivalent documents that are acquired from the official embassies or consulates of Turkey. - A document as a proof that shows the citizen was there for at least six months from the date of purchase. - A copy of the passport issued by the country where the foreigner resides or the copy of Turquoise card for those who lost Turkish citizenship. - A document issued by the tax office stating that the person who will buy the property is not settled in Turkey. - A document as a proof that the organization is still active. This document should have an apostille. - A document as a proof that this company does not earn any profit in Turkey. - If the price is to be brought from abroad through a bank, this price must be transferred to a bank in Turkey. The debit receipt must be delivered to the relevant authority. - If the price is paid by credit card issued by foreign banks, the document showing that the money is brought from abroad must be taken by the relevant bank in Turkey. - If the price is brought in cash from abroad to Turkey, a written document should be obtained from the relevant Customs Administration. These documents should be obtained in a specific time before the sale. This document is for the commitment of the recipient regarding VAT exemption. This letter can be signed at the sales stage. You can benefit from the exception of VAT by buying a real estate in Turkey. Please contact us to find the best offers.